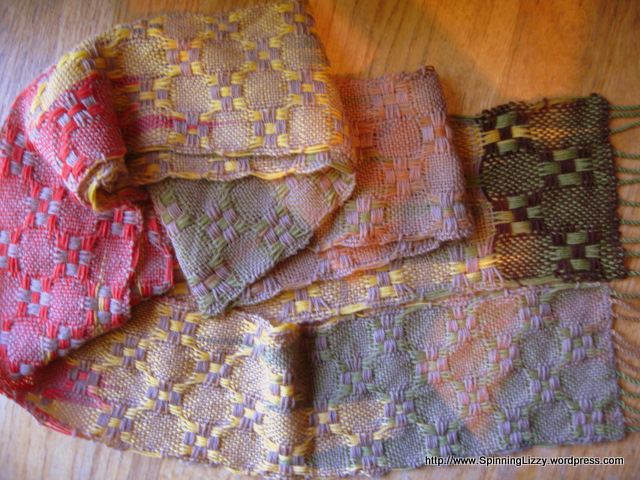 For the past school year, I wove huck scarves as teacher-appreciation gifts. I truly thought I had posted about these scarves long ago, but I couldn’t find any evidence of that. I find it a bit alarming that I accepted as fact something I must have dreamed up. How much of what I believe to be true came from a dream? Is this a symptom of being too busy?! From my stash of sock yarns, I found some Salvia superwash merino that had been dyed in the skein. 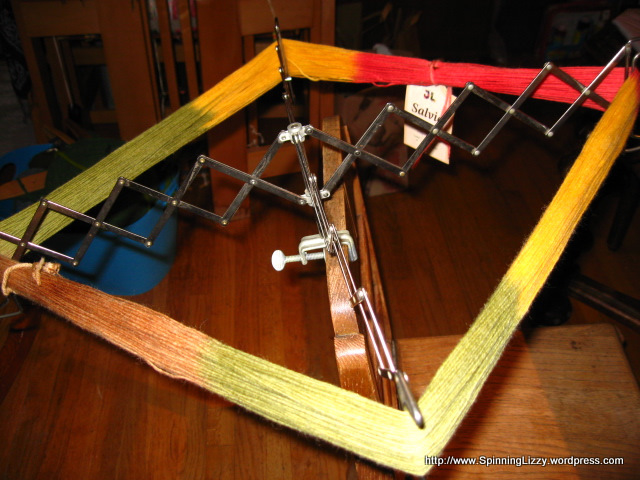 Since the dyers had not re-wound the skein, it was easy to determine the length of yarn for a colour repeat. 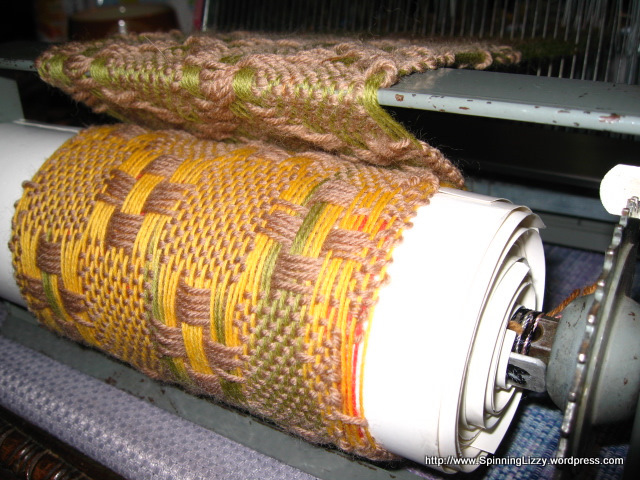 Taking advantage of that colour repeat, I wound a warp in a continuous circle to preserve the dye patterning for a “faux ikat” warp. 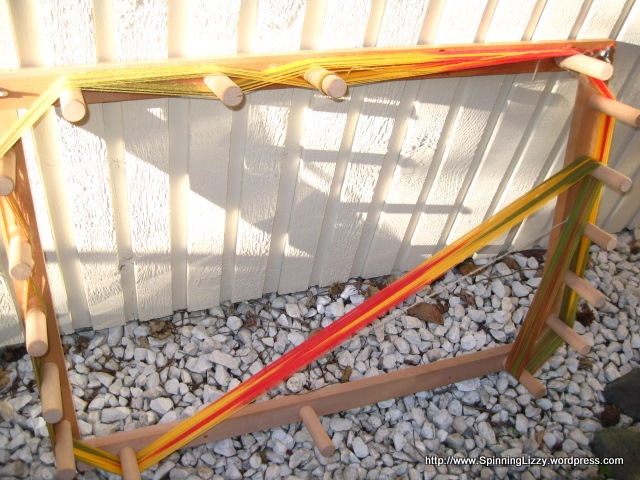 I used all eight shafts of my little Structo loom for this huck pattern. 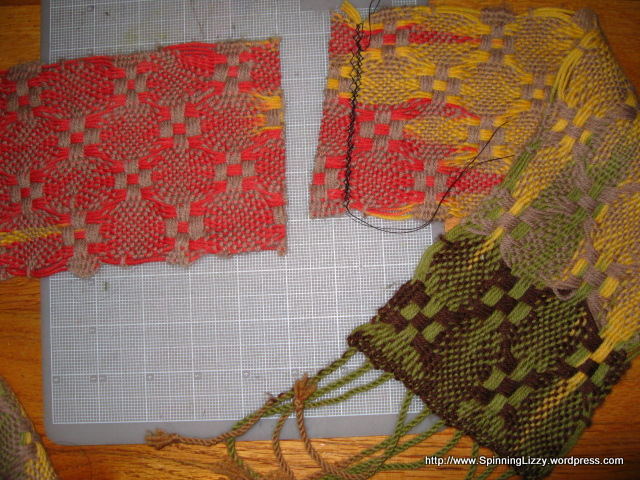 The brown weft at the beginning didn’t appeal to me, plus the scarf was too long to wear comfortably. So, I cut off the beginning for a sample. 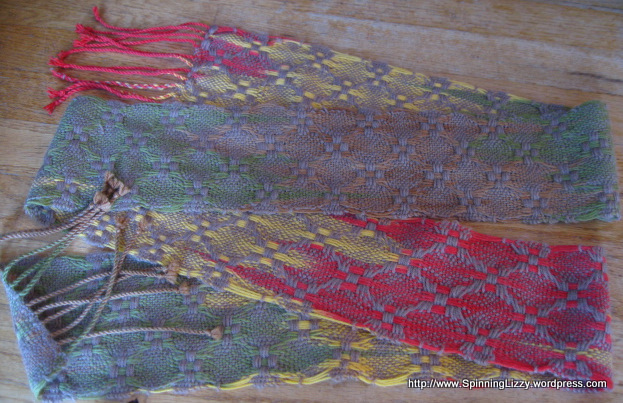 The only drawback to this pattern is that it leaves long warp floats on the two selvedges. 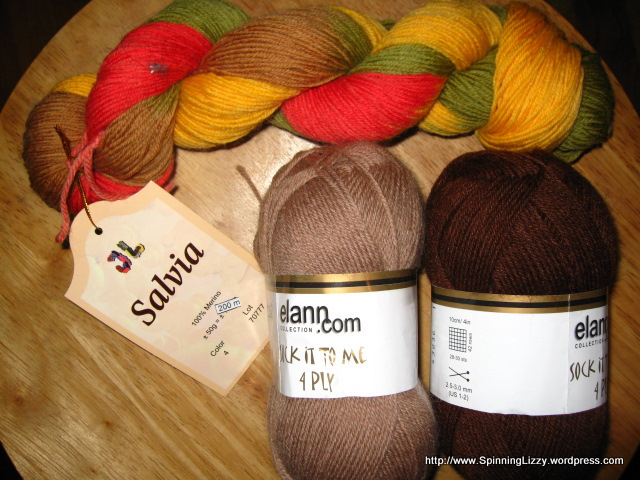 The wool is superwash, so I was surprised that the scarves did shrink a little. 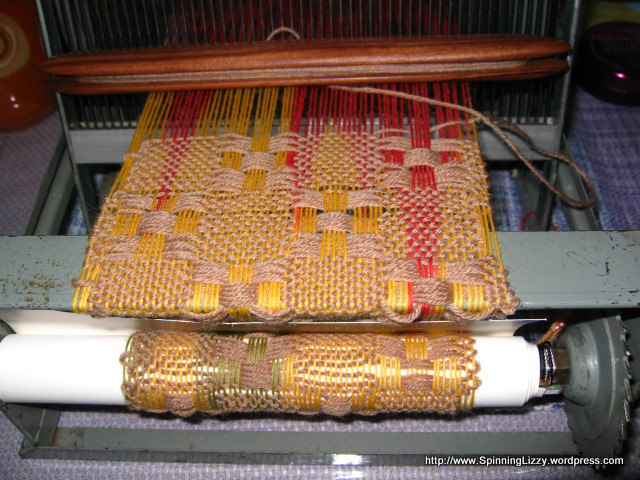 They were very fast to weave on the Structo; with its solid, all-steel construction, the loom is an amazing performer with impressively smooth and precise tensioning.